As a music lover, you might search for top 100 Songs of 2016 or best hit music playlist. It is not very hard to find great songs on Billbord, iTunes, etc. Billboard.com – the most popular international news magazine devoted to music and music industry. 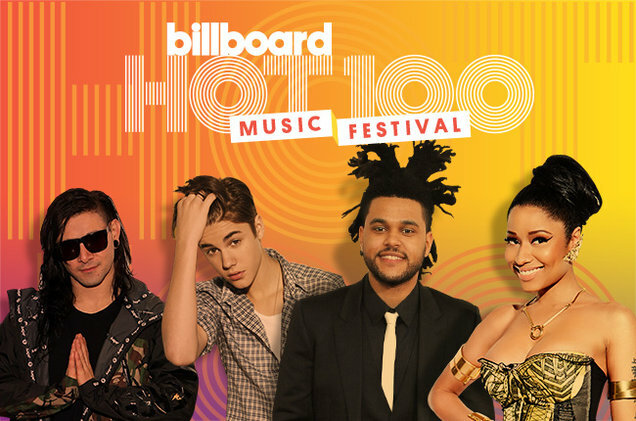 But is there any way to keep the 100 Billboard 2016 top songs for free? You can free download music you learn from Billboard on YouTube with an awesome video downloader. Any Video Converter Freeware is such a free YouTube Music Downloader, with which you can download songs, music, audio from YouTube and can also convert these songs downloaded from YouTube to other audio format such as MP3, AAC, M4A, M4A, WAV, WMA, etc. Now, let's follow this guide to learn how to free download top 100 billboard songs in 2016 from YouTube. How to free download top 100 Billboard music 2016 with Free YouTube Music Downloader? Step One: go to YouTube site and search for the Billboard music you would like to download. Copy the YouTube video download link from YouTube webpage. Click on the Add URLs button, then a dialog will pop up, just click icon, and paste the download link to it. You can continue to paste more YouTube music links as the previous steps. Tips: before downloading top 100 Billboard music 2016 from YouTube, press Online Video Tab, then simply choose Manually Select under Select Format thus you can choose the audio format such as MP3, AAC, M4A, M4A, WAV, WMA, etc. you desire when downloading. 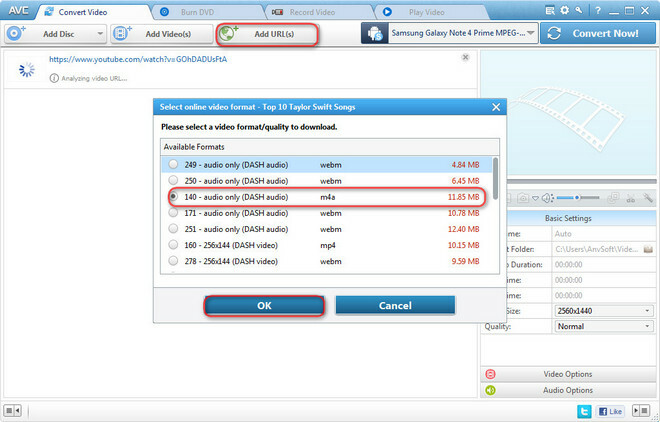 Step Two: after choose the audio format you wanna download, press Start Download! button and click "OK" to start downloading Billboard songs. 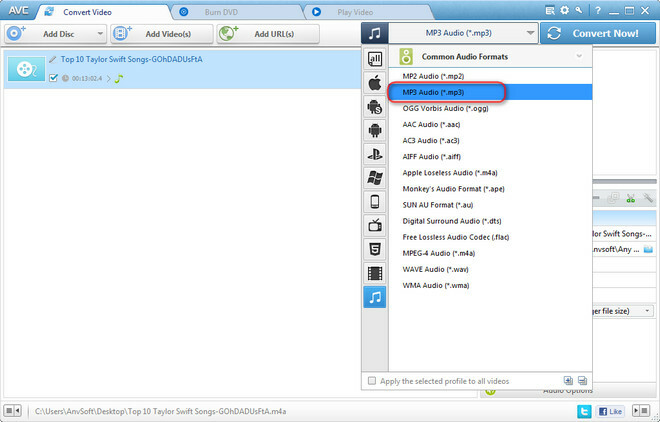 Click Output Profile, unfold Common Audio Formats from the drop-down list and choose a proper format such as mp3, ogg, aac, wav, m4a or wma to choose the output format you need, then press Convert button to convert downloaded billboard music to mp3 or other formats. --- Download to computer - download a song to the user's computer through the use of a download utility, which is installed on the computer. --- Upload to Amazon Cloud account - uploads a song to the user's Amazon Cloud account, where the song can be accessed from any computer. For users who are looking for new, original works from today's aspiring artists, SoundCloud offers a free solution. Sign up for an account, and you'll be able to stream and download from people all around the world. Google Play Music service is now available in the US and equip with a bunch of curated radio stations, which makes use of the same content featured in Google Play Music's paid subscription, but with the occasional advertisement, just like Spotify free. The only difference is you can't choose your music, you can only choose the station. As a popular music streaming service, Spotify is now free on both mobile and tablet. With Spotify, you can listen to the right music where you are. You can also listen to artists and albums, or create your own playlist of your favorite songs. How to Transfer Apple Music Files to CD/ MP3 Player/iPod/Walkman/PS4/Google Drive? Can I transfer or sync Apple Music files to my portable devices like MP3 Player, iPod, Walkman, PS4, Google Drive etc or burn them to CD to enjoy these files more freely? Yes, of course you can. But because the DRM protection, you are not allowed to burning them to CD or transfer them to portable devices that aren’t linked to your Apple Music account directly. To free from these limitations, you can remove DRM from Apple Music files for better enjoying these music. Here iTunes DRM Audio Converter is well designed to help you remove the DRM protection from Apple Music files and convert them to popular formats like MP3, AAC, WAV and FLAC, so that you can transfer or sync Apple Music files to more portable devices.